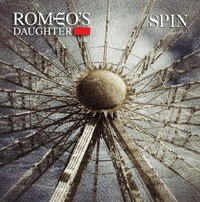 ROMEO´S DAUGHTE is a band of sessions musicians, almost, which probably accounts for the fact that they were active between 1988-95, and 2009. Yet another band to be re-activated through reissues of their previous album, they remain pretty intact. Vocalist Leigh Matty, guitarist and background vocalist Craig Joiner and keyboard player Anthony Mitman, were all around from their debut album, while bassist Ed Poole and drummer Andy Wells joined for their second album. In 2013 keyboard player Mitman left and was replaced by Jeff Knowler. This is their fourth studio album, and as such a cool and laidback effort. Opener “Touch” has a bit of a riff that paired with Leigh´s sensual voice presses most buttons in AOR. Their brand of pop-rock has the usual flaws, some songs are too laidback to generate a spark. Yet still it is a tight and in that sense flawless album. Their added experience and musicianship makes them a bit “more” than most of the competition as they run through the numbers. You get echoes of HEART, of cause, ROBIN BECK, of cause, and even RUSH circa 1993 in “Radio” the closing track “Tall Buildings”. The ending of “All Because of You”, “Perfect Plan” and the aforementioned “Tall Buildings” are more to my liking as the rock-factor increases. Nevertheless, they do what they do best and nothing on offer here will scare off any of their old fans and potential customers.